I will admit that I am one of those people that dig on positive energy. But then again, who doesn’t? I know I am creative in my own right, but when I am surrounded by creative energy, being utilized for good, I cannot help but feel inspired. One of the best things about Lansing is that this city is packed with so many talented, energetic and positive individuals, willing to work together to come up with and act on ideas to make our city bigger and better; and all for the benefit of the greater good, rather than personal gain. One such example of this positive and creative energy coming together is the REO Eats Project. 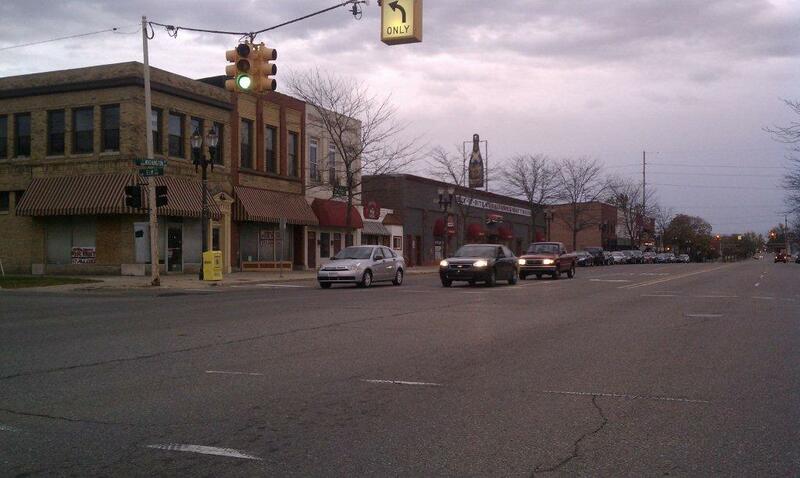 REO Town is a historical area that is nestled into Lansing, just south of downtown. Known as the heart of the automotive industry, this once action-packed neighborhood has become quiet as of late; but with the developement of new, hip businesses such as Art Ally and the donation-based yoga studio Just B Yoga and Tai Chi, along with local favorites such as Oade’s Hidden Camel, this neighborhood is poised to take off. Many of the older, run-down buildings are being rejuvenated to make room for new business ideas to accomodate the surge in growth the area is expecting due to reasons such as the creation of the Board of Water and Light’s new natural gas power plant in REO Town, and the draw the area is starting to have on the Lansing community in general. I was turned on to this project by the amazing and uber-talented Tom Stewart, who just so happens to be a member of the brainstorming team! This group came together after local property owner Pat Gillespie purchased the property of the closed down Dalmation’s Firehouse Grill in the up and coming Reo Town, yet had no set plan for what the new establishment would be. Instead of hoping that whatever was created would become a Lansing hit, it was decided that the brainstorming process would take place “backwards” so to speak, and they would utilize the #lovelansing community to ensure the success of a local Lansing business. By taking ideas directly from the community, each individual member of the community who casts a vote will have an investment in the decisions. They will feel like they have intelectual ownership of a piece of REO Town. The concept is simple: since the #lovelansing community will be the ones supporting this diner, they should dictate what kind of establishment it should be. And the most innovative part? The Lansing community will do so by means of social media. That’s right, simply by communicating via social media, we are able to vote on everything from the theme of the diner to the type of food that will be served. Each week a new component of the planning process will be up for public vote on the project website, with the implemenation of the winning ideas taking place throughout the 90 days. The hope is that this establishment will be a winning combination of the community’s ideas and go from the initial blank canvas to a fully operating business, open to the public, all within 3 months- using only social media to dictate the direction it goes in. I encourage you all to make your voice heard by visiting the website each week to cast your vote, messaging the REO Eats Project to share your ideas via facebook or twitter, and spread the word! I’ll see you all at the grand opening in 80 days! Follow the REO Eats Project on twitter at @reoeats, on facebook by searching for the REO Eats page, or by visiting the website at http://www.reoeatsproject.com/. 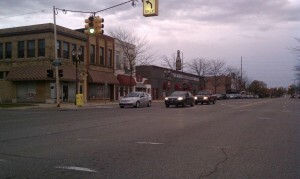 This entry was posted in City Life, Dining and tagged #lovelansing, local business, social media. Bookmark the permalink.